Chris Tiu is slowly becoming the Rain or Shine Elasto Painetrs’ main option in the clutch. Tiu hit four three-pointers in the final period as his team downed the Blackwater Elite. Rain or Shine erupted for 32 points in the fourth quarter while holding Blackwater to just 14 points in the same stretch. That was enough to overcome a double-digit deficit in the final 12 minutes of the game. After the Elite took a 10-point lead to start the quarter, Maverick Ahanmisi and Reggie Johnson teamed up to go on a 12-2 run to tie the game. That was when Chris Tiu exploded to put the game away. He got the ball on the left wing as he popped out to the three-point line. The ball was swung to his side and he buried a trey to give Rain or Shine the lead. The Elite cut the lead down with a shot from Mike DiGregorio. But the Elasto Painters pushed the pace and Gabe Norwood found Tiu trailing on the right wing for another three-pointer. After two solid defensive possessions by Rain or Shine, they once again found Tiu trailing from the top of the key. The guard let loose his third long bomb that found the bottom of the net to give Rain or Shine a seven-point lead. He added another three-pointer in the final three minutes to give his team a 12-point lead and the win. Tiu finished with 17 points on five treys. He also had seven rebounds and 10 assists. Raymond Almazan led the team with 26 points and 12 rebounds. Reggie Johnson had 17 points and 20 boards. The Elasto Painters take solo lead at the top of the standings. 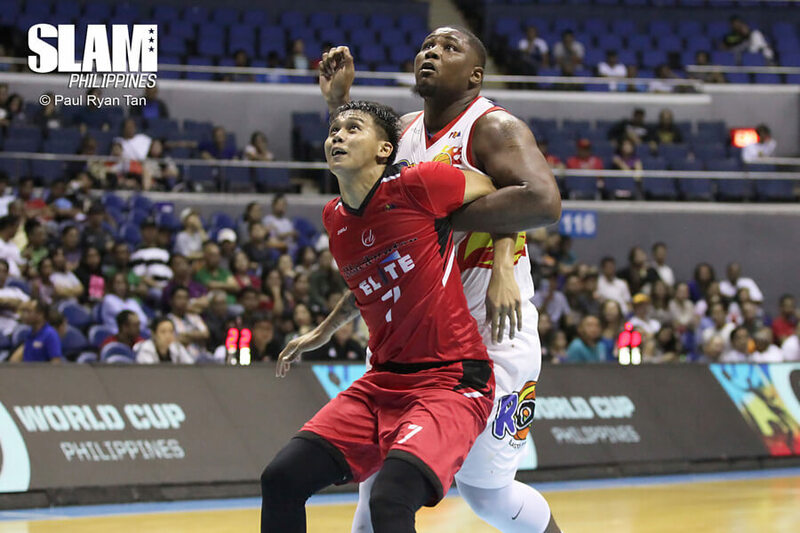 With their eighth loss, the Blackwater Elite have been eliminated. Matthew Wright did everything he could to give the Phoenix Fuel Masters the win. Unfortunately, it wasn’t enough as the Meralco Bolts had more firepower in the end game to pull out the win. The Fuel Masters battled back from a 13-point deficit in the third period behind Eugene Phelps’ dominance inside and some timely outside shooting for the locals. They turned the game into a nip-and-tuck affair in the fourth period. Baser Amer scored on a layup to give Meralco the lead with less than a minute left in the game. Jeff Chan answered right back with a floater to tie the game. Amer wasn’t done. He nailed a step-back three-pointer with 27 seconds left to give the Bolts a three-point lead. Needing a key basket in the end, the Fuel Masters leaned in Matthew Wright. The high-scoring wing drilled a tough leaning three-pointer with five seconds left to tie the score. He then blocked Chris Newsome’s final attempt to send the game into overtime. In the extra period Wright’s outside jumper was the only thing working for Phoenix. After Jared Dillinger and Arinze Onuaku score back-to-back baskets to give the Bolts a five-point lead, Wright tried to get Phoenix back in the game with a trey and a jumper. 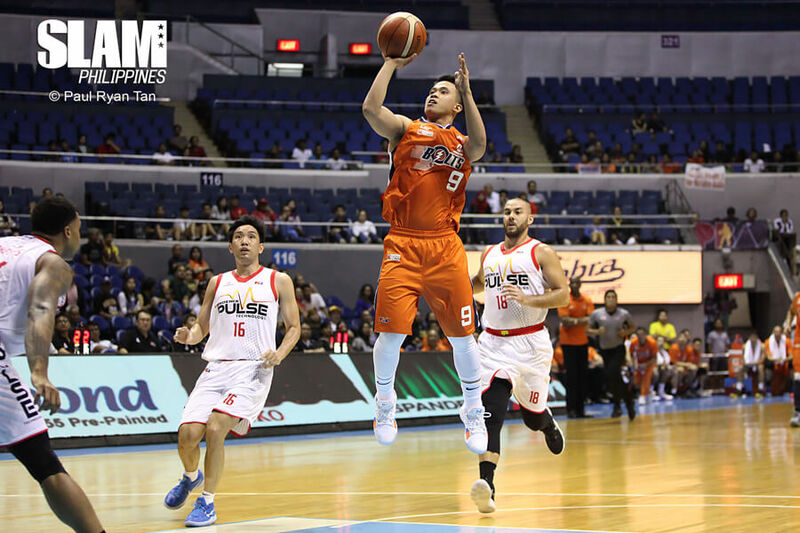 A Newsome layup and Onuaku free throws gave Meralco a four-point lead which Wright cut down to one with a three-pointer. But Amer came right back with a floater and Cliff Hodge nailed insurance free throws as Wright’s ammo ran out in the final minute of OT.